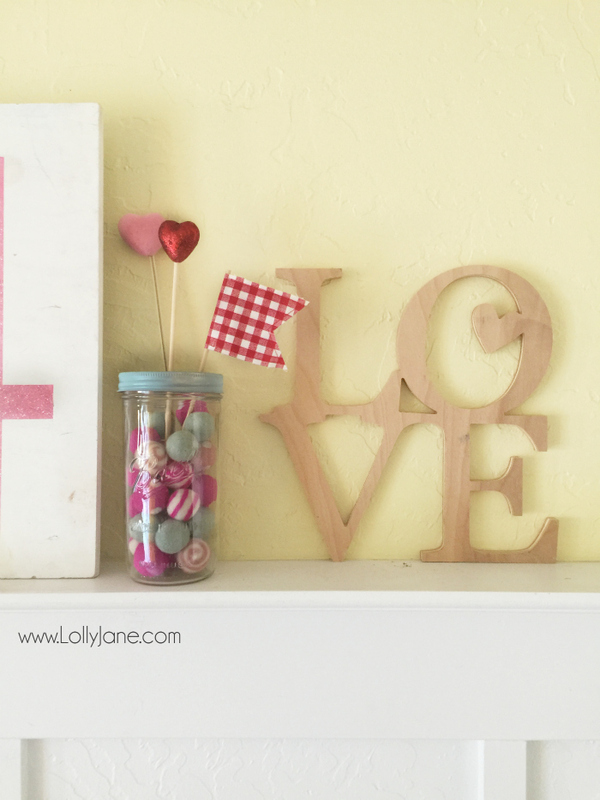 It’s the week of Valentine’s Day and I’m finally sharing pictures of my mantel. I originally had them on my dining room shelves but it was too hard to keep up with two 8′ shelves so I put them back in my entryway. 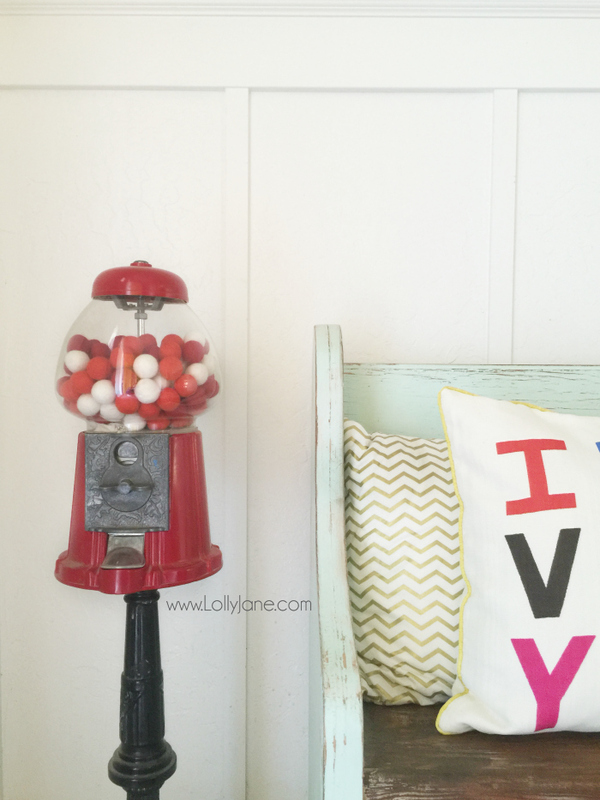 I didn’t make anything new for it, just borrowed from other spots around the house using decor I’ve made in the past. 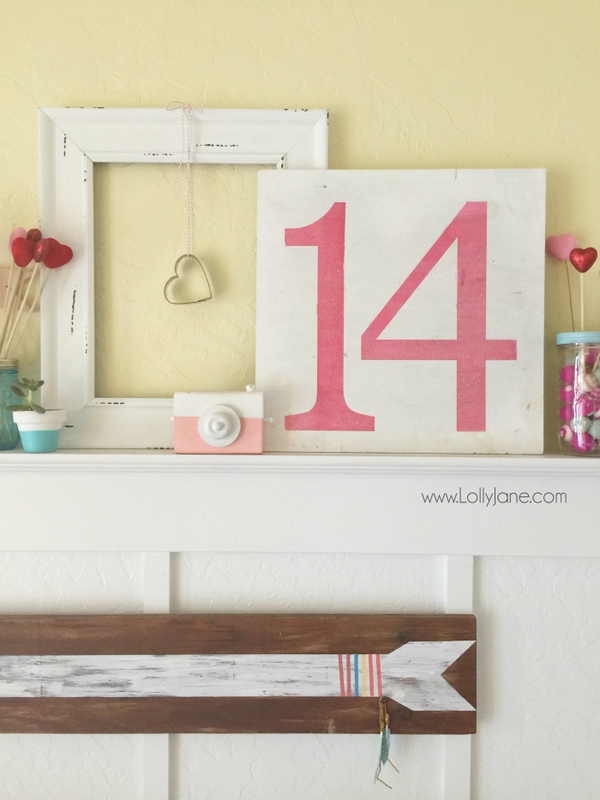 This is an Easy Valentines Day mantel. 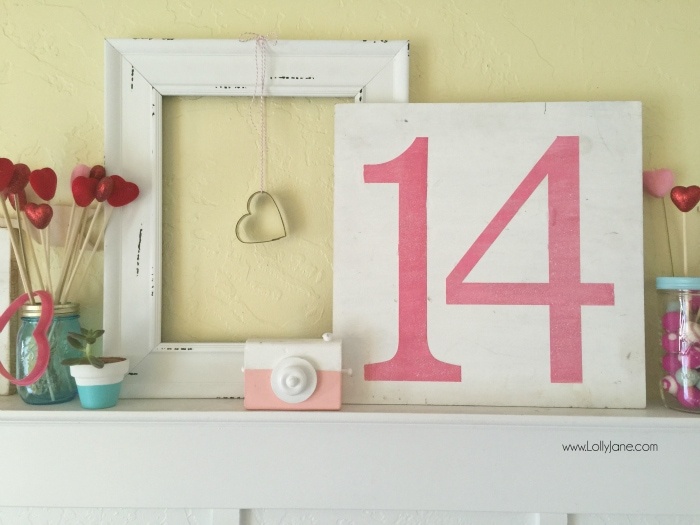 Layer an empty frame, quick 14 sign for Valentine’s Day mantel decor then fill in with random coordinating accessories. 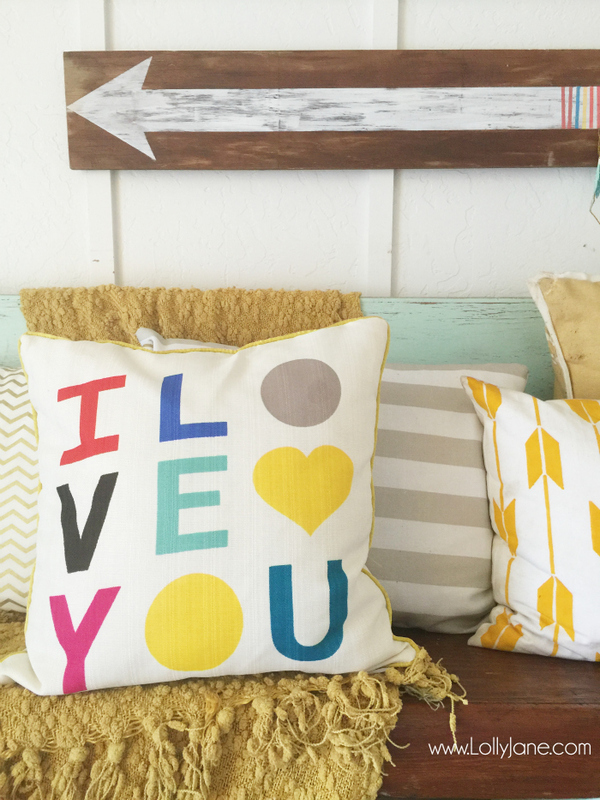 Love the simple I heart U blocks. 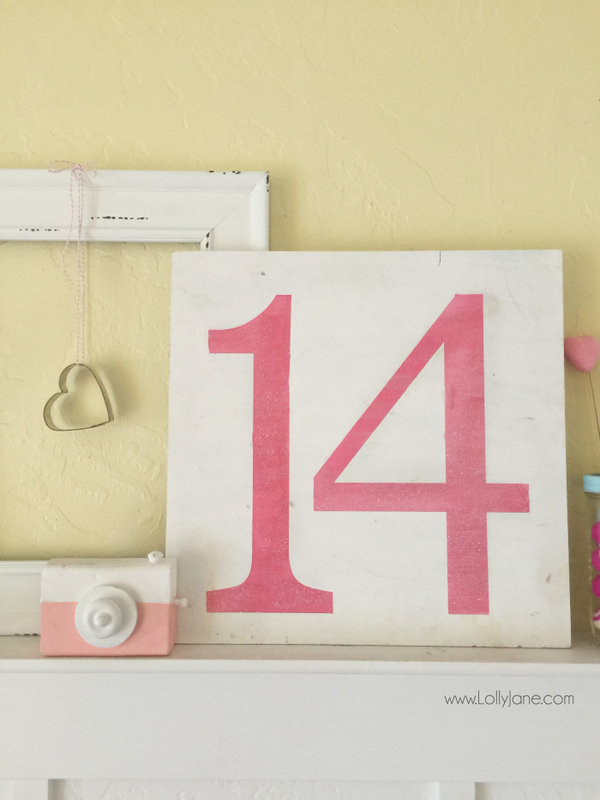 Just use scrap wood + a stencil or freehand, an easy project. We also flipped the original version over to make monogram blocks with mine + hubby’s initials which leads to the original creator. 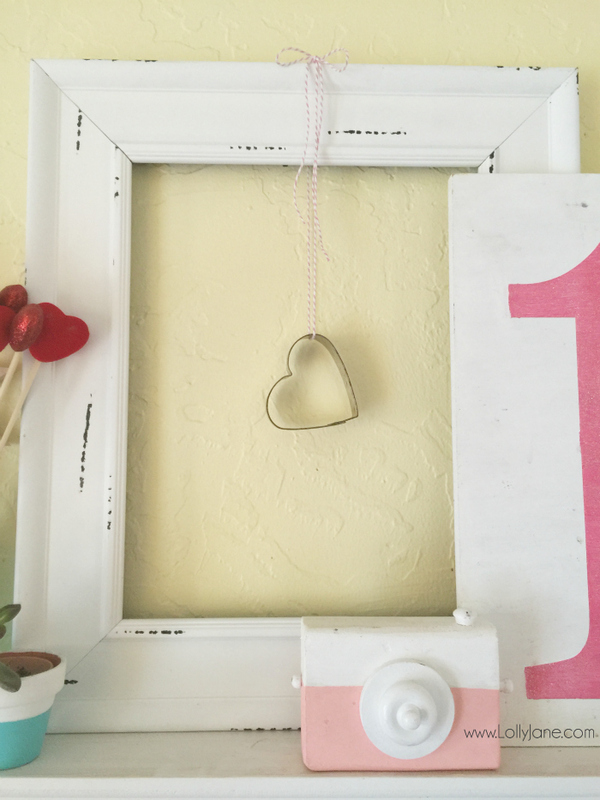 This chippy frame is from Hobby Lobby (use your coupon), I strung a vintage heart shaped cookie cutter from it and hung it with bakers twine. The cute camera is from Amanda Rydell. 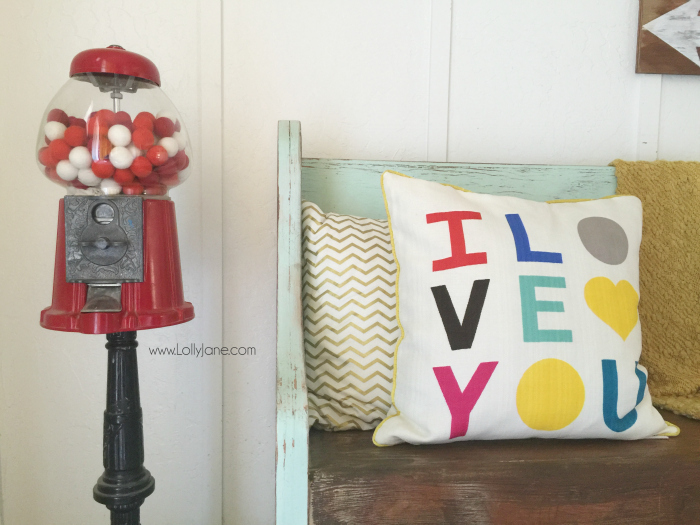 I filled a mason jar with The Felt Pod’s patterned wool balls and stuck dollar store hearts on shiskabob sticks then added Natalie Create’s fabric flag. 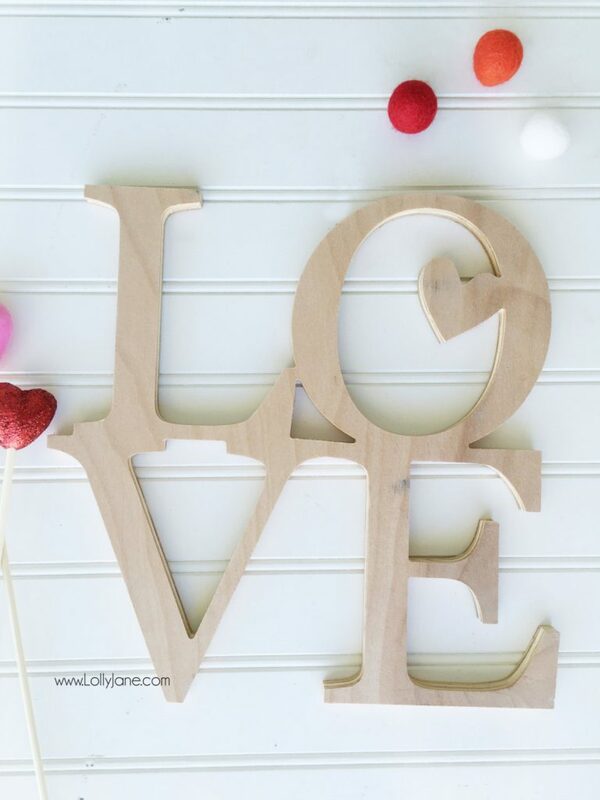 The unfinished LOVE wood cutout is for sale in our shop. 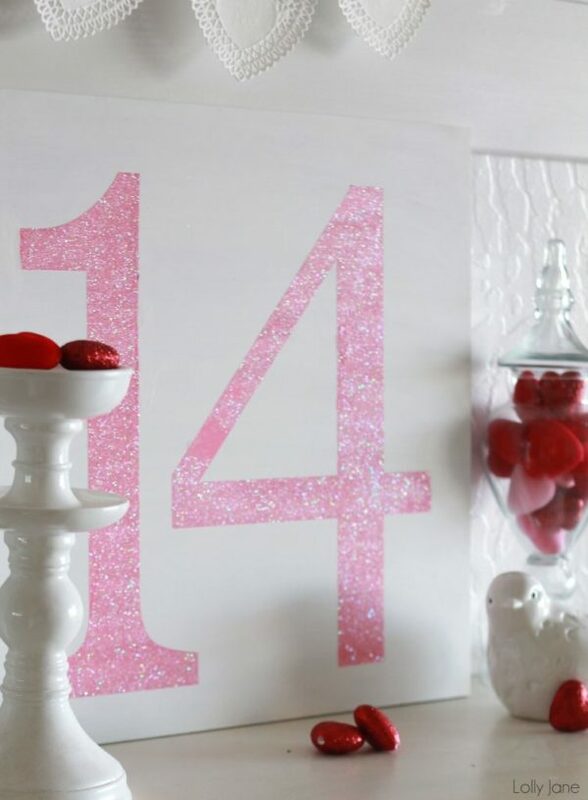 Check out the DIY glitter 14 sign too! 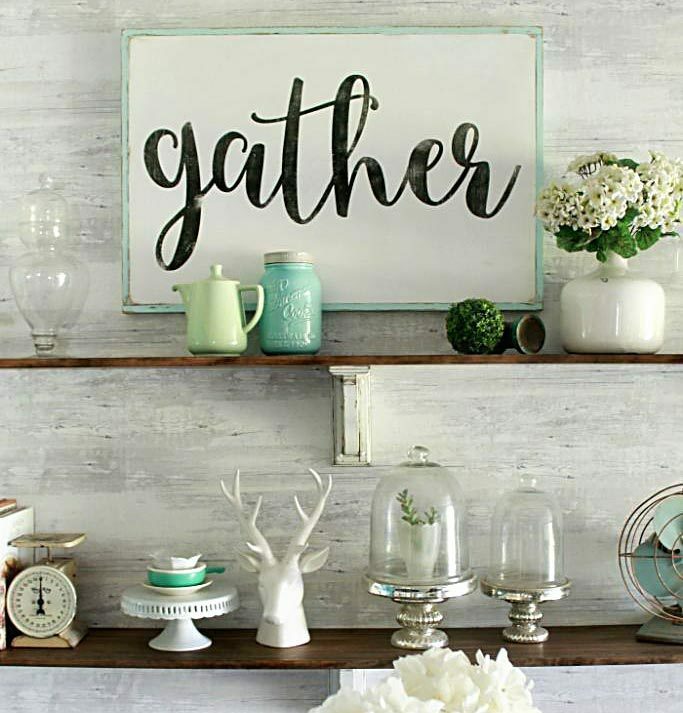 Visit our shop for completed home decorations. Love the mini painted pot? 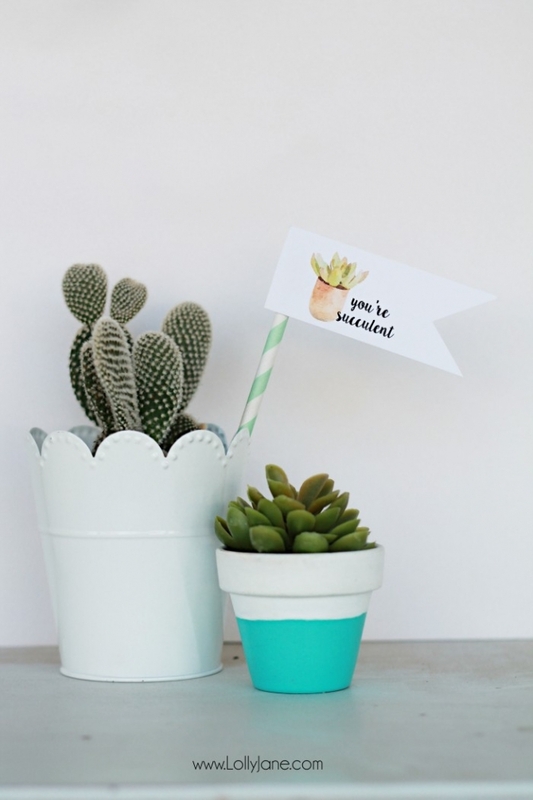 We created a free printable succulent tags for it as well. It looks so cute! 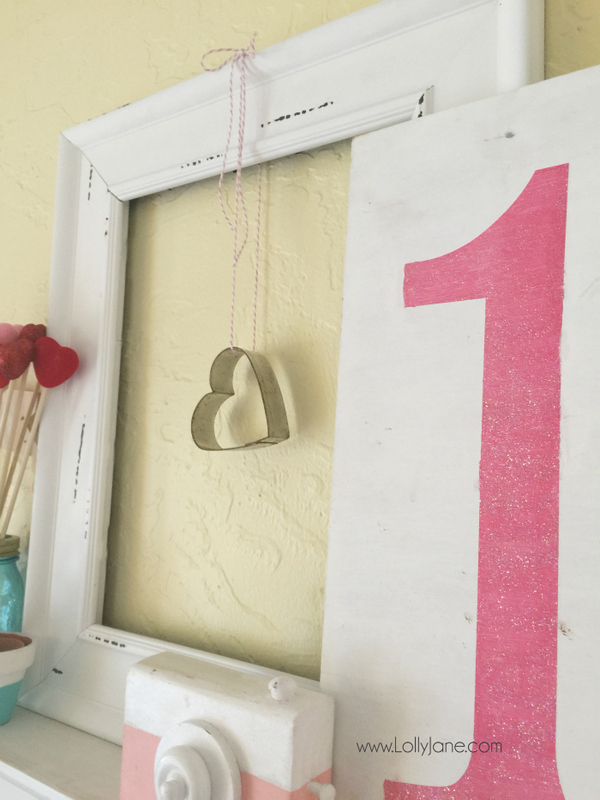 I love what you did with the hobby lobby frame, twin, and heart! 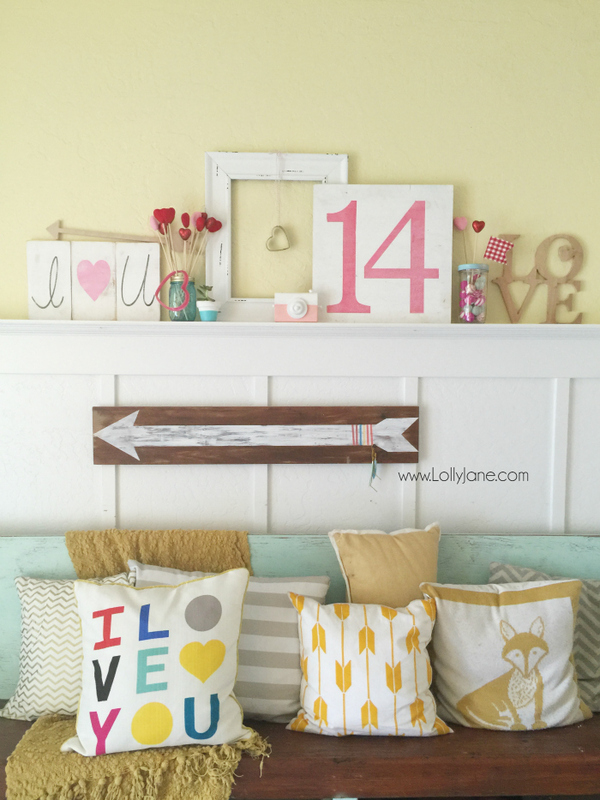 Love the mantle!! Looks so festive!! Our second oldest son’s birthday is Valentine’s Day and I’m always looking for new ideas for his special day. Thank you! You Valentine decor looks great. You have gotten me in the mood. 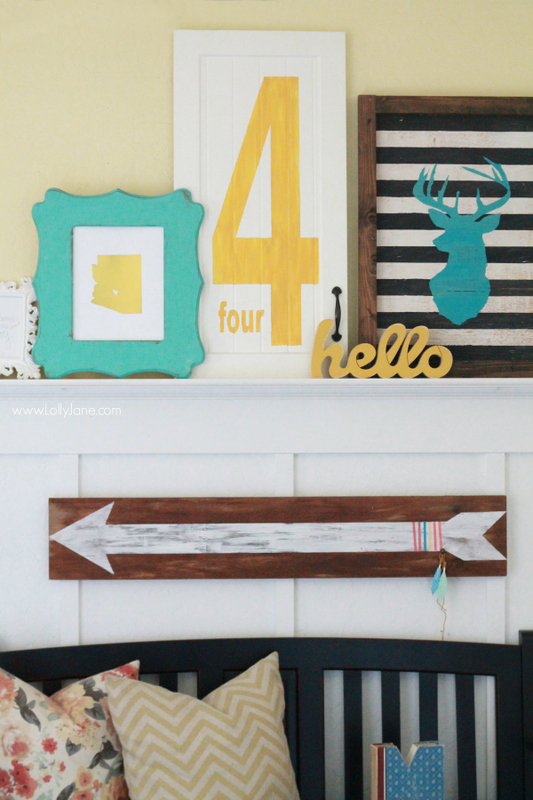 I love the way you styled the mantel. So cute! Stop by when you get a chance! Very cute! 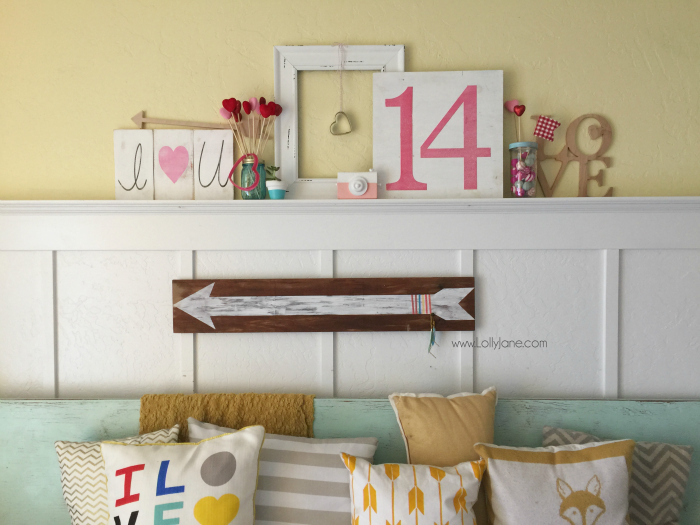 I love to decorate mantles and valentines day is a fun one! I am doing a Mardi Gras mantle this year instead of Valentines, so it’s fun to see what everyone else is doing for VD. 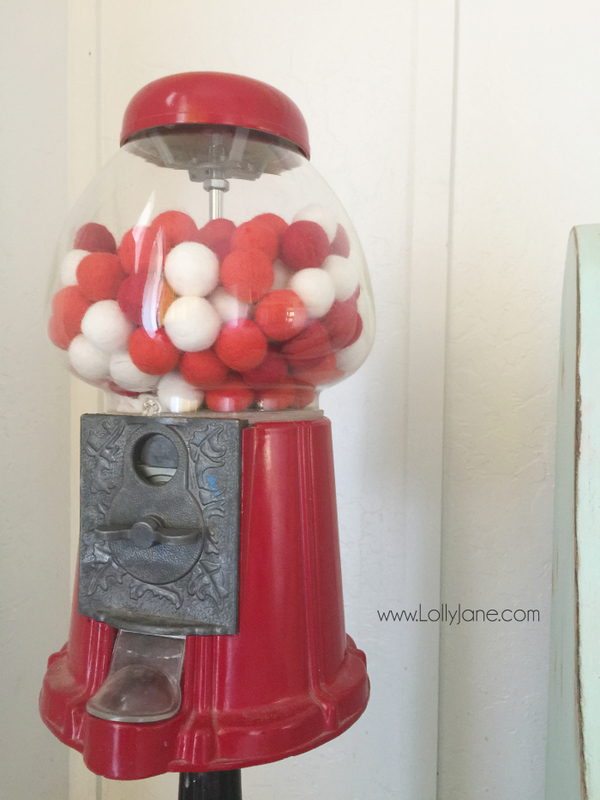 Thanks for sharing it with us at the Family Joy Blog Link Party this week!